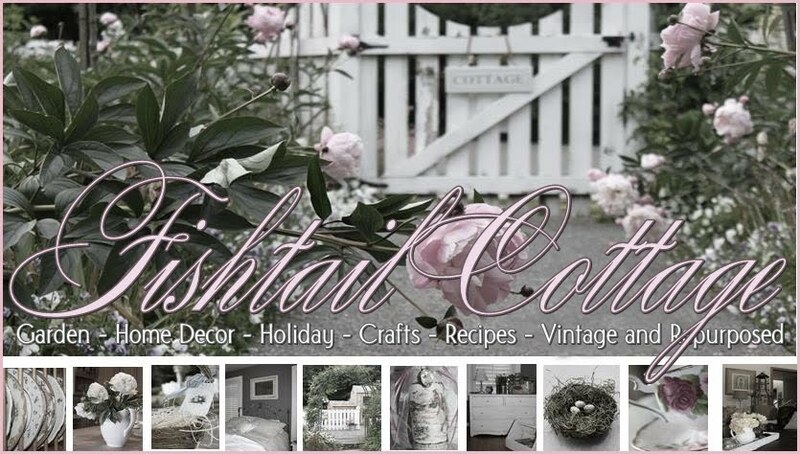 Fishtail Cottage: Fishtail Cottage Garden in May "
So many beautiful flowers appeared in May! 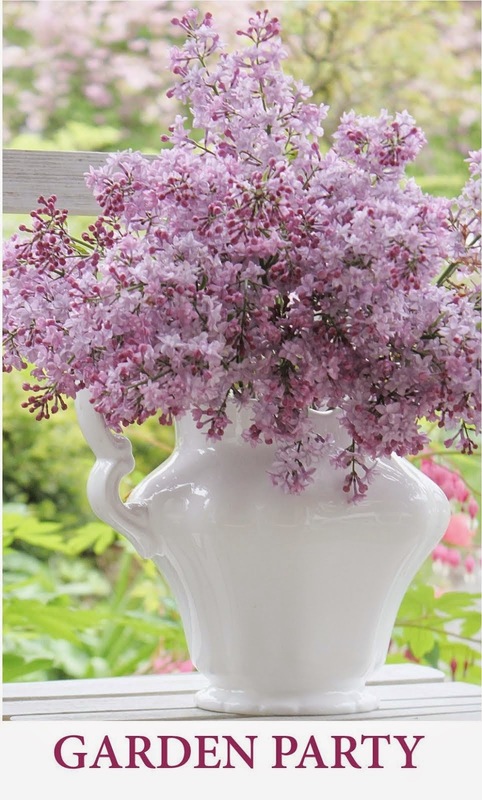 First one to share with you is just a few of my lilac's.... these are some of my most favorite cut flowers to bring inside. As you can see the landscape came alive in the front yard area where I have a darling little feeder and bath for the birds. The Hanaki peony trees, Adirondack Crabapple Trees and the Northern Highlight Azaleas are amazing when they all come into bloom as other early spring blooms start to fade out. I originally only had this one Northern Highlight Azalea in my back yard landscape, however the fragrance was just so amazing I added several more to my gardens in both the front and back yard. I cannot begin to tell you how amazing this shrub is. Some other favorite shrubs in my landscape that came into bloom during May was several varieties of Rhododendron's, Mexican Orange and Snowball Shrub. All of which make excellent cut flowers as well. So many perennials returned with their beauty like the Cornflower, Columbine and Bearded Iris. Seeing the landscape evolve each year and how everything fills in is one of my favorite pleasures of my garden. Look how beautiful the Sandwort ground cover has taken over below this sweet little Maple Seedling that I started a few years ago. And just one more cottage flower favorite that appeared in May is the Foxglove ~ a wildflower that I've allowed to self seed and take over wherever it desires! Definitely another favorite of mine that I had to share. So lovely garden and lots of lovely flowers. The Foxglove is allowed to pop up wherever it wants to, in my garden too. Wonderful garden!Breathtaking...Love all your flowers! Absolutely beautiful!! I must have some foxglove. This garden is terrific! I can only hope..........Thanks for sharing. Really nice photos, too. Will look for Northern Highlight azalea. But I have to pull foxglove in my yard and field, as it will spread to the neighbors' property, and they have a horse, who could die of cardiac arrest from eating foxglove greenery/seed. One of the problems of living in the country. And of having a few foxglove in the garden years ago. So beautiful. Every picture is so pretty. Tracie, your garden is always a delight! Each and every photo brought a smile to my face. Love that pink Columbine! Azaleas and Rhododendrons don't do fabulously in our zone. I have one of each planted, but they are small and never put on a show. I love Foxgloves! I wish they would self sow like that for me. You are so fortunate to have your foxgloves reseed. They are my favorite flower and I struggle to to grow them in my hot climate. I think of them as fairy tale flowers - totally charming. Your garden looks great! Gourgeos like everyting in your garden! I especially loved the The Hanaki peony trees and Adirondack Crabapple Trees.